With the rise of China in the world economy, businesses from all over the world have moved to explore business opportunities in this market. Managing international business in a transition economy like China is a daunting challenge. Xiaowen Tian presents a practical guide to major managerial issues faced by foreign investors in the China market. These issues are analysed in the light of relevant theoretical models of international business, with reference to current management practices of transnational corporations operating in China. 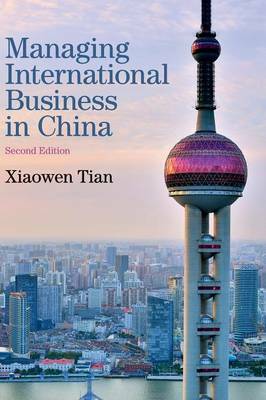 Featuring up-to-date case studies, figures, tables, and coverage of new and expanded topics, this second edition can be used as a textbook for undergraduate and postgraduate programmes in international business or other management disciplines, as well as in executive training programmes.